CONFidence is one of the biggest and most renowned international security conferences in Poland. It started somewhat small in 2005, though I cannot really comment on that as my first ever CONFidence was that in year 2007 - I was still pretty junior in security back then, but my company at the time agreed to visit the event (and we even won the CTF there - something we got a habit of repeating throughout the years!). 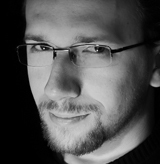 In 2009 I gave my first talk at CONFidence, then another one with j00ru, and a couple more. In 2015-2017 together with my CTF team we organized the CONFidence CTF (this honor was since passed to another great Polish team - p4) , and in 2017 I joined the Program Committee for the Kraków edition. 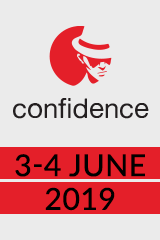 Given my history and personal involvement with the conference it gives me great pleasure to invite you to CONFidence 2019 - the 15th edition of our IT security conference! More discount? : In the upcoming weeks before the conference there will be one or more CTF-like challenges on my blog with 3 free tickets to CONFidence 2019 - check my blog from time to time for details (and I'll update this blogpost with a link).